Dave has been a lawyer since 1984. He joined the Montgomery County District Attorney’s office in 1987 and quickly earned promotions, serving as Chief of the Pretrial Division. He was elected Magisterial District Judge in 1993 and was reelected in 1999 and 2005. In accordance with Pennsylvania law, Dave continued to practice law during his commission as a Judge. He has handled a wide variety of matters in his private practice. 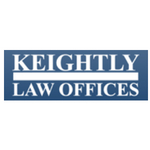 Dave is now practicing both criminal and civil law full-time at his private law practice, Keightly Law Offices.